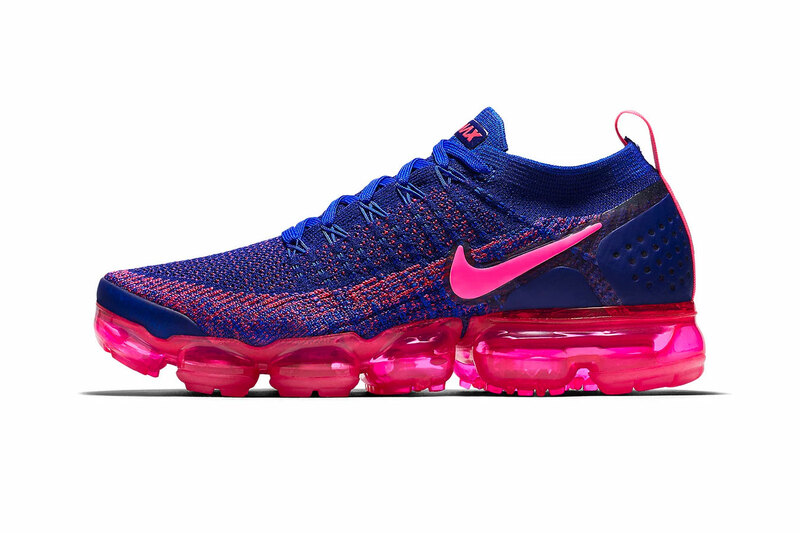 Straying away from the darker looks we have been seeing lately, the upcoming take on Air VaporMax Flyknit 2.0 features a striking mix of “Racer Pink” and “Racer Blue.” The blue Flyknit woven base comes complete with matching Flywire at the midfoot, with contrasting pink hits sprinkled all over and distinctly on the branding portions at the heel and tongue. Rounding up the design is a full-length transparent pink VaporMax midsole, accompanied by matching rubber outsole segments. Priced at $190 USD, the Air VaporMax Flyknit 2.0 “Racer Blue” will be available at Nike’s web store and select Nike Sportswear retailers on November 23. In case you missed it, Nike recently teased an upcoming Zoom VaporFly Elite Flyprint 3D release. For a series of graphic hoodies. Followed a new brand shortly after. Centered around the fictional KAR GT race team. Including UltraBOOST, PureBOOST and adizero models.